You Really Don't Want to Assemble Lockers, Do YOU ? 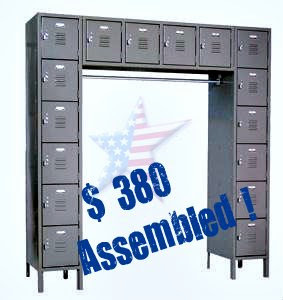 Economical Box Lockers are Designed for Secure Locker Storage and have a Coat Rack for Hanging Belongings. 16 total compartments! Each compartment is 12" wide, 18"deep, and 12"high.